I now have a full year's worth of traffic data from the sites I run, giving me a sample size over 4.2m page impressions and a categorised browser user agent database of over 84,300. I know this is a non-representative sample, but the trends are still interesting to note. 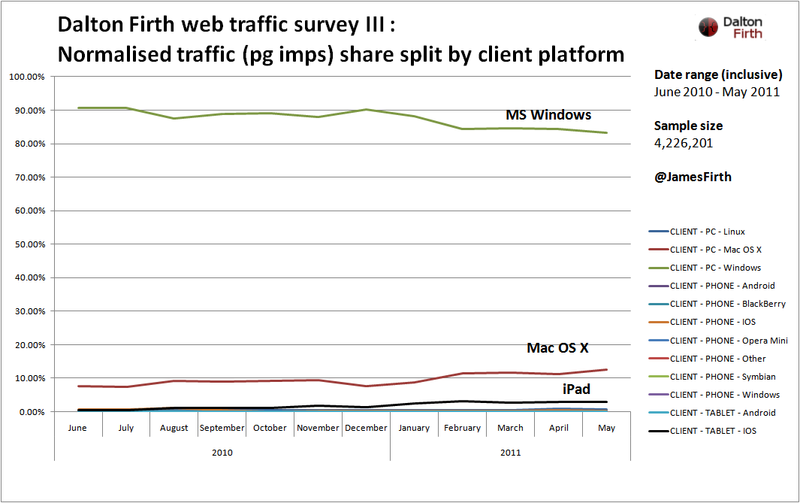 First chart shows Windows continue to lose out to Apple Mac and Apple iPad. 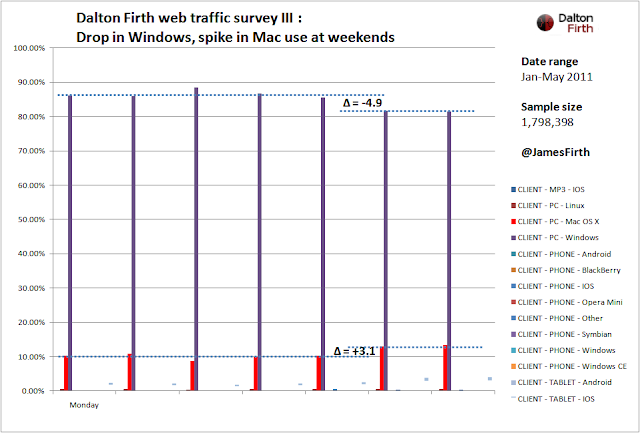 Windows traffic is down 7.4 percentage points, whilst Mac OS X traffic increased by a whopping two-thirds (up 5.2 percentage points) to 12.6% of all traffic. 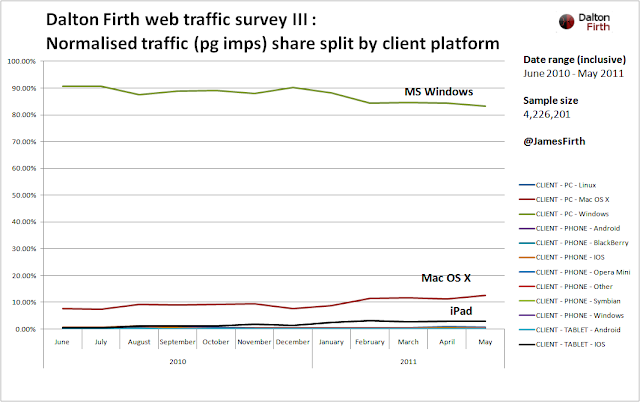 iPad has collared a 3% traffic share since launch. 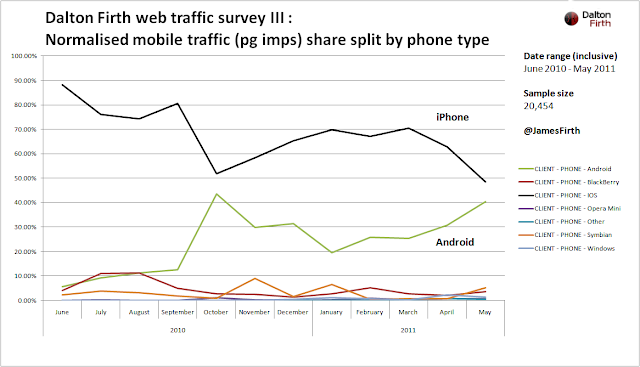 My sites continue to get only a small percentage of mobile visitors. 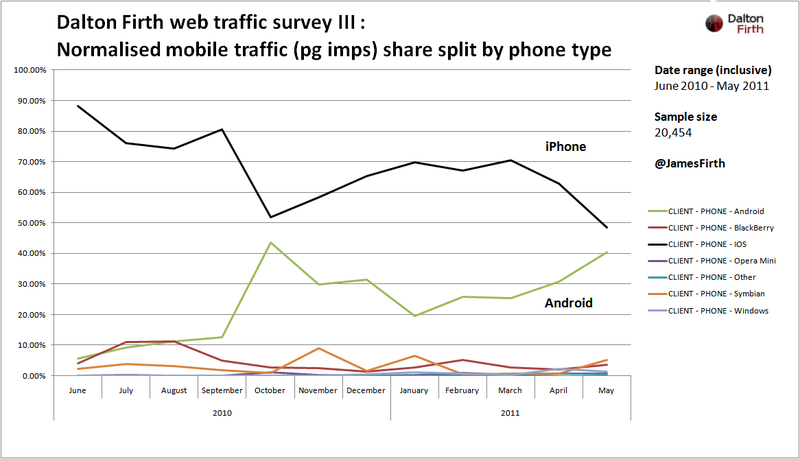 After months of press coverage about the growth of Android in terms of units sold, Android is finally catching up with iPhone in traffic to my sites. Access from BlackBerry has plummeted from a peak of 11.1% last July to only 3.5% this May. 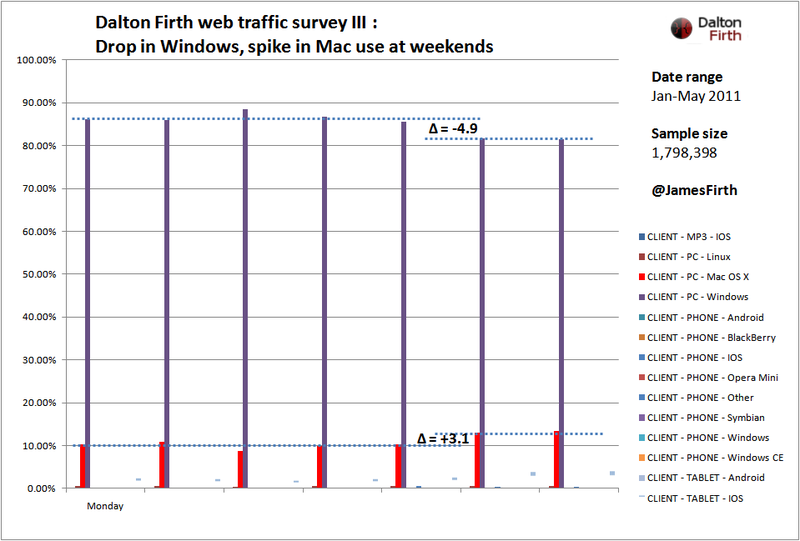 My interesting quirk to note this time around is a clear drop in Windows traffic at weekends, with a corresponding spike in Mac OS X, iPad and mobile use. Is Microsoft Windows becoming bound to the office, with Apple taking over at home?